If you’ve ever wondered how to bring email to the techno-phobe in your life, the answer isn’t Abracadabra. It’s Presto. If you’re reading this online, you own or have access to a computer. But you likely have friends or relatives — perhaps elderly, budget-restricted or technophobic — who don’t. So they’re not in close touch and can’t share online family or community activities. 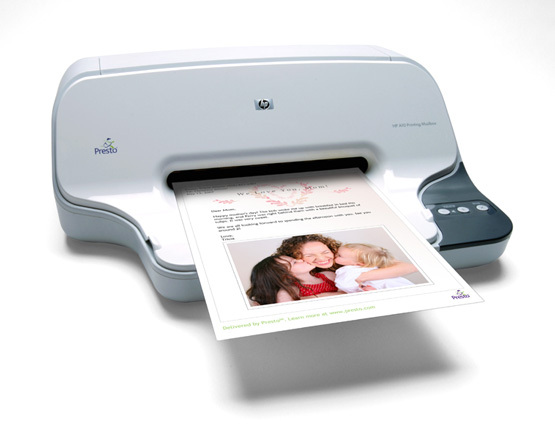 Presto is a combination color inkjet printer and paid Web-based service which allows people without computers to receive email, including attachments. Setting it up is simple: after purchasing the device, someone with just a bit of tech savvy creates the account, picks an email address (such as gabeg99@presto.com), and lists people allowed to send email to the address. At specified times of day, the printer dials a toll-free telephone number, downloads accumulated email, and prints it. With only two controls — Volume and Stop — it’s easy to operate. It plugs directly into a telephone jack and doesn’t need a separate phone line or jack or even a splitter, since an existing telephone or accessory (answering machine or Caller ID device) can plug into it, daisy-chain style. Presto is ideal for letting seniors receive email from children, grandchildren, friends, former colleagues, military buddies, etc. And it’s useful when businesses request customer email addresses to conduct or simplify transactions. 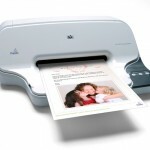 It handles pictures and many attachment formats nicely, printing them as if it was a fax machine. So it allows sharing as PDF files any online or computer content such as maps and directions, travel itineraries, Web pages and spreadsheets with financial or family contact information. Simple steps authorize new people to send email, and when ink runs low, the printer is smart enough to either alert the person who set up the account or automatically order new cartridges. After failing for a dozen years to excite my in-laws about email — they steadfastly resisted being online — my retired Navy father-in-law fell in love with a Presto I loaned him, discovering that it let him hear from his old Navy buddies around the world. And receiving color pictures of the grandchildren sealed the deal. The printer costs $150 or less (always comparison shop online!) and the service costs $12.50/month with yearly subscription. The only thing missing is the printer downloading paper and ink through the phone line — but that would need real magic!